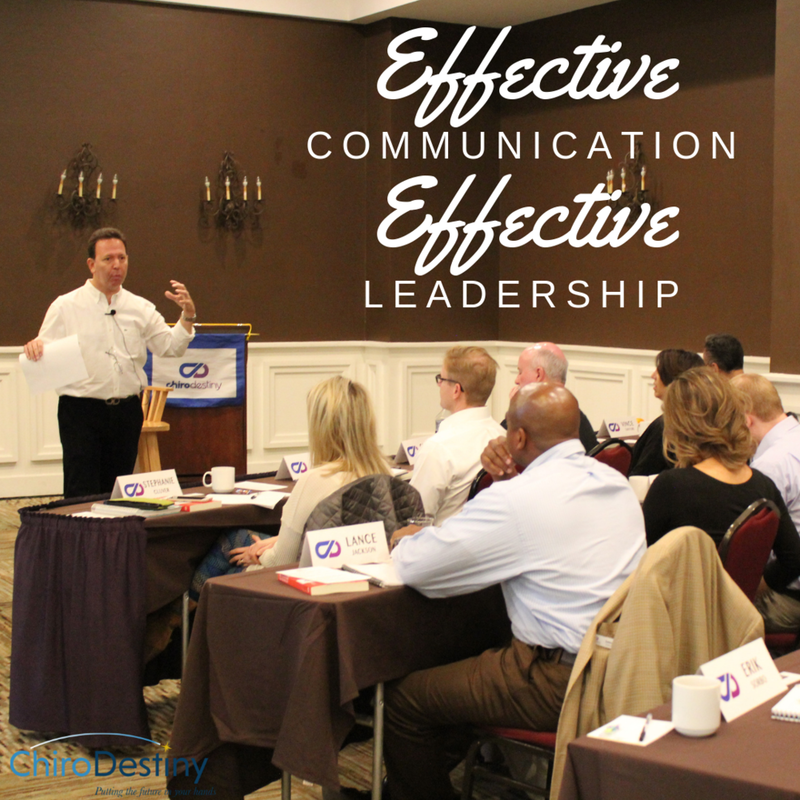 Effective leadership and communication is essential to any business, but for a small chiropractic practice, it requires knowing how to communicate with all levels of the practice from employees to patients. Each group may require a slightly different communication and leadership style. It’s up to you to be able to adapt based on the group you are communicating with. Here are our tips. Verbal communication is probably the most obvious form of communication. However, research shows that people pay just as much, if not more, attention to the actions and nonverbal cues that you give than the words you are saying. Nonverbal cues can include hand motions, facial expressions, eye movements, and body posture. We suggest matching your nonverbal cues with your words. When you are able to accomplish this, you will come off as a more believable and trustworthy leader. As a strong leader, you should understand that your communication style may need to be adapted depending on your audience. When speaking to employees, you may need to have a more directive approach than when speaking to patients or delivering a presentation to the community at a health fair. Make a point to identify your audience including their interests and characteristics, then adjust your communication style based on what your audience needs and what will encourage them to meet the goals of what you are communicating. Throughout the course of the day, you may need to switch between styles multiple times. Stay true to yourself, but also be flexible in how you are addressing people. You already know that communication isn’t just about talking, but also about listening. Active listening should always be a goal and requires you to focus on the verbal and nonverbal language of the speaker. Focus on the person who is speaking and don’t allow yourself to be distracted by outside interruptions. Avoid interrupting, give the speaker time to finish, and show you are actively listening by nodding and paraphrasing or reflect back to verify you understand what they are saying. When managing your own chiropractic practice, realize that your team will look to you as a model of how they should behave. Employees tend to emulate how they see their leaders communicating and behaving. If your receptionist sees you using an active listening style and empathetic tone with customers, they will be more likely to do the same. When you are open to the ideas of others and frequently praise your team members, you create a positive work environment that your employees will emulate. Take a look at how you communicate with others and ask if that’s how you would like your employees communicating with your patients. If not, it might be time for an adjustment to your communication style! For most people, effective communication skills don’t come naturally. Many individuals, including business managers and leaders, need to practice to improve their skills. In addition to practicing the above tips, consider taking part in one of our seminars or e-learning platforms. If you are ready to expand your vision and improve as a leader, contact us for a free coaching call. Older PostGood Boss or Great Boss?